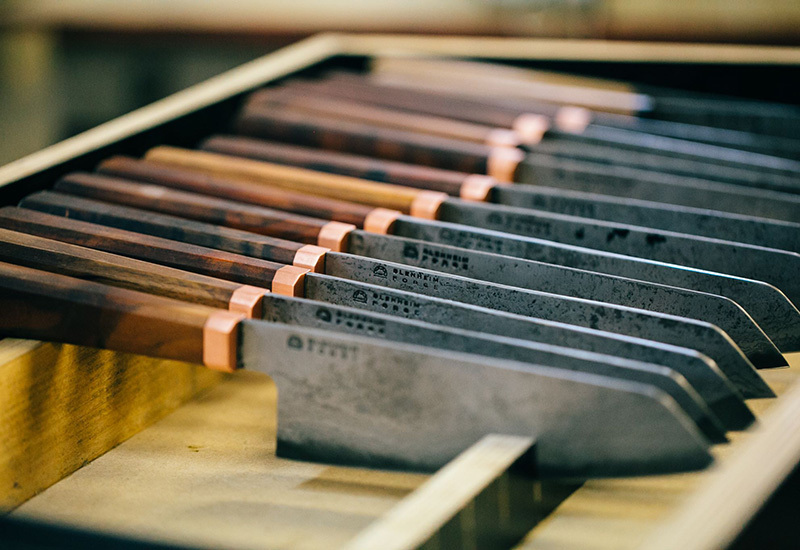 Meet the inventive folk reducing waste in winemaking and turning wine waste in quaffable treasure. It turns out we chuck away a lot of wine. Collectively, UK households pour down the drain 333 Olympic swimming pools’ worth of wine per year. On average, that’s two glasses of wine per week per household. And a lot of vinegar we could otherwise be making. Tag on the implications of packaging, when only 50% of glass containers are recycled, and when bars, restaurants and pubs account for 200,000 tonnes of glass reaching landfill, you know we’ve got a problem. Thankfully, certain clever folks around the world are coming up with innovative ways to help save more wine and cut down on packaging, from distilling mouth-swills, to forgoing bottles altogether. Here’s what they’ve been up to fight wine waste. 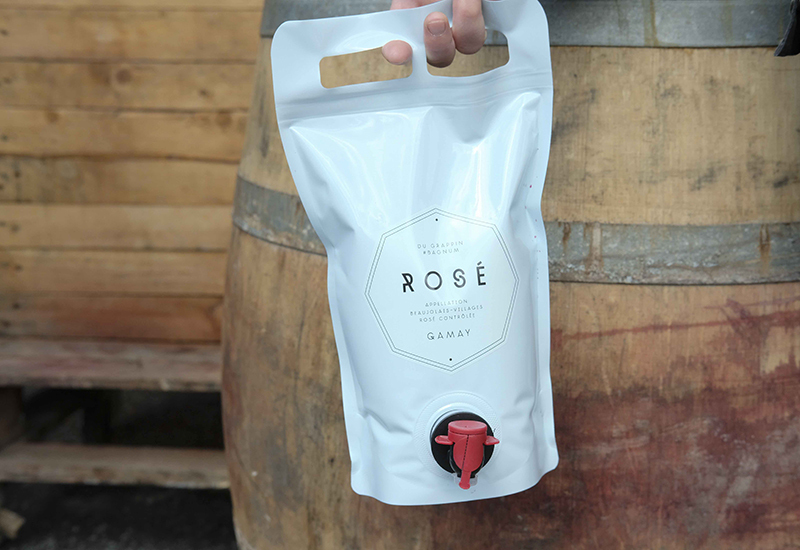 Le Grappin embrace wine in a bag. You may have seen Andrew Nielsen and his Le Grappin wines doing the rounds at farmers’ markets across London. Andrew likes to do things differently and sells his wine in a bag. Why is this better? The seal means the wine keeps fresh weeks after opening and uses 80% fewer carbon emissions than glass bottles by virtue of its production. 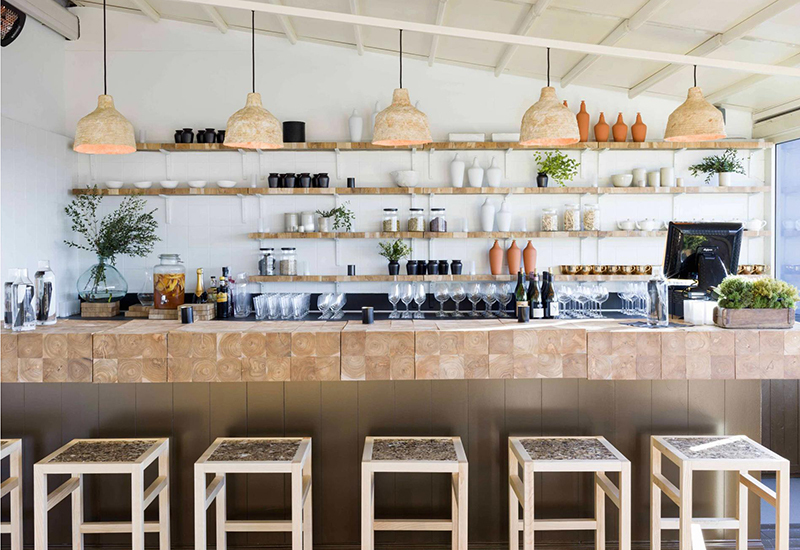 In a similar vein, St John ­– the much-loved restaurant – sell their own Languedoc white, red, and rose in an easily recyclable cardboard box. ‘Wasted’ wine roulette. Fancy a flutter? 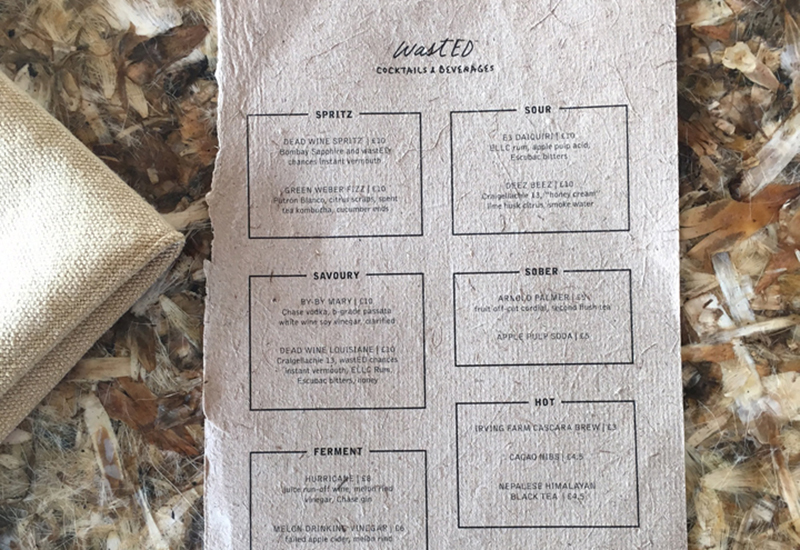 The drinks list at Dan Barber’s WastED pop-up featured ‘wastED chances instant vermouth’ and was printed on paper made from agave pulp leftover from tequila production. 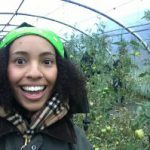 Dan Barber, the celebrated American chef who’s all about rethinking the future of what we eat and how we grow it, ran a pop up called wastED on Selfridge’s rooftop last year. It was an education on how we unconsciously neglect food and wine too. As a kind of lucky dip, diners would order a ‘wasted’ wine for a set price, for the server to come back with a bottle not deemed easily sellable in restaurants, shops, or bars. Whether it happened to be a vintage reserve claret, or a naff Sauvignon (which you were welcome to send back to the kitchen to be made into vermouth to be enjoyed in a cocktail), was down to fate. It makes you think: restaurant cellars often house hundreds of bins. But what happens to the wines never picked? Refilling a red at Borough Wines. ‘Wine on tap’ might sound like something devised for the desperate rather than the discerning. But merchants like Borough Wines are doing a lot to change that by helping bars and restaurants put quality wines on their draught lists. Good news for the punters, but also for the environment – each keg saves 16kg of glass production and disposal, while kegs can be used over and over again. 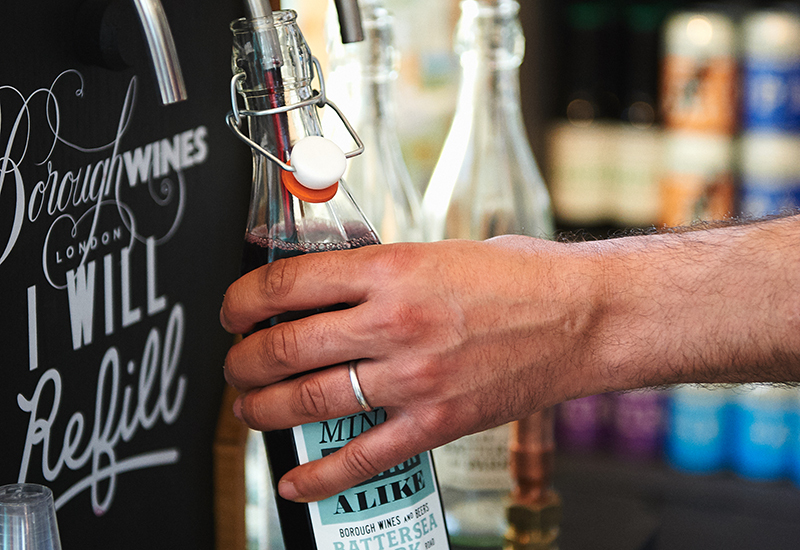 It’s such a revolutionary way of doing things that Borough Wines have rolled out a similar system in their shops, whereby customers can fill and refill store-bought clip top bottles straight from the barrel. The aptly named Kissing a Stranger grappa made from wine spat out by guests at two-day wine tasting. Photo: Poor Tom’s Gin Distillery. When is spitting not bad manners? Try a wine festival where judges eject wine into a bucket after they’ve tasted it. One year at Rootstock, a wine festival in Sydney, it was noted how much booze was being wasted in this way. The next year, organisers collected 500 litres of spat out wine, beer, and whisky. This was mixed, then distilled (during which, boiling kills any unwanted bacterium) to become grappa aptly named Kissing a Stranger. The results: A fruity-noted liquor with a wonderful mouthfeel, and an idea that looks set to become Rootstock tradition. Could other festivals and competitions follow suit? Due to an unpredictable market, surplus is a massive problem in the wine industry. It’s a spicy vanilla merlot one minute, then a tropical-noted chardonnay the next. Meanwhile, we continue to pump our planet for unrenewable energy. 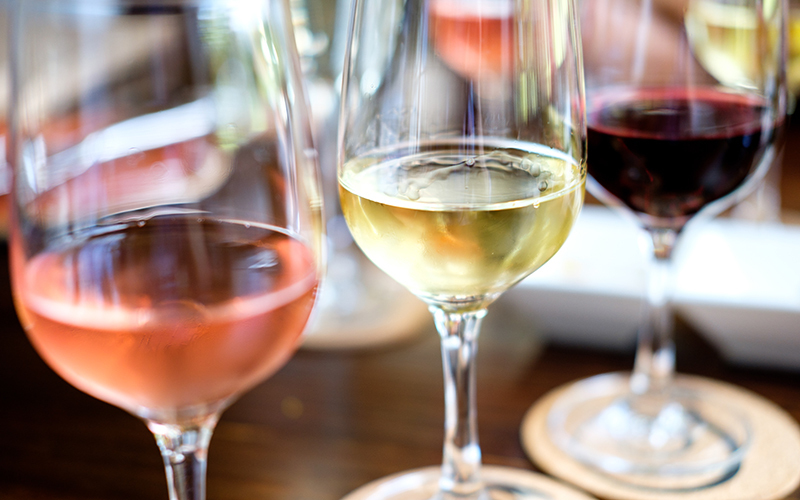 Though the two seem somewhat unrelated, a facility in California is taking both issues head-on ­­– Parallel Products is in the business of turning unsellable wine into fuel by way of distillation and fermentation. That means that, maybe, one day a forgotten Chablis will power your car. Brush up on your wine knowledge with 10 common wine myths, busted by renowned wine critic Jancis Robinson. 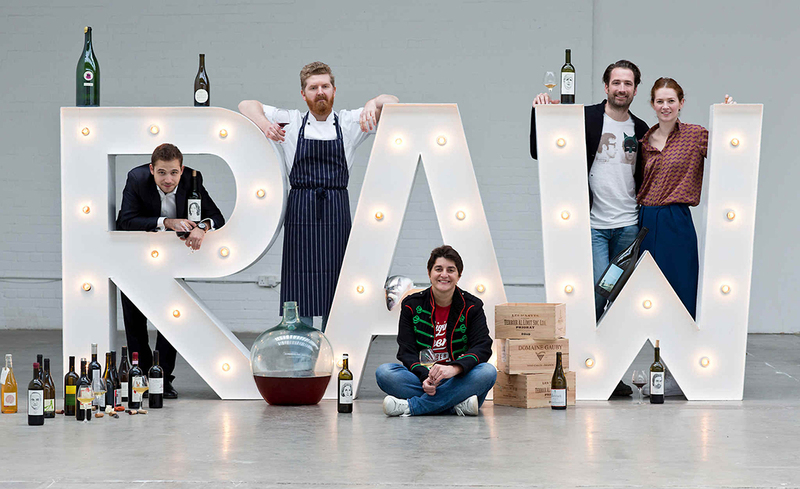 Discover why everyone’s gone nuts for natural wine and meet the English winemakers taking on the world’s mass-producers.